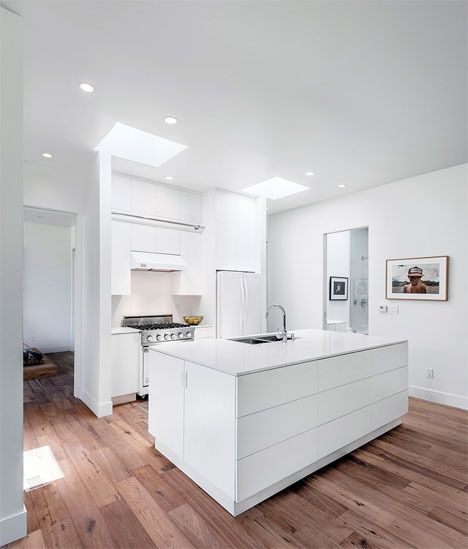 Most people with single-family homes are used to pulling up into their driveways and then ascending flights of stairs to get to the living spaces. 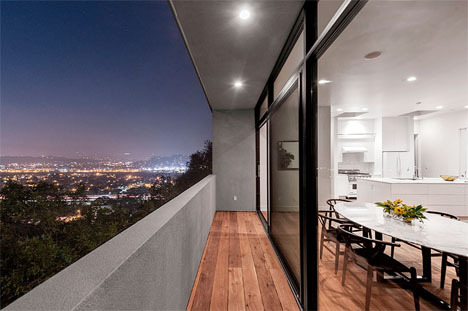 But in this case, a ground-level driveway leads directly to an open-air rooftop terrace, and to enter the home, you go down. 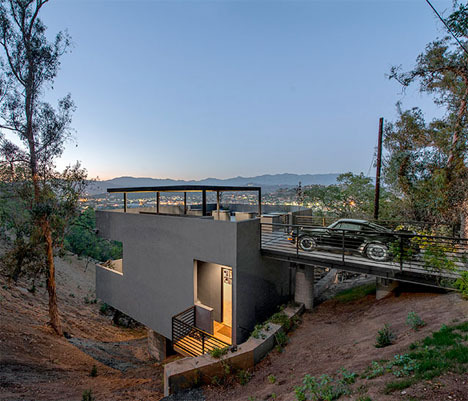 ‘Car Park House’ by Anonymous Architects takes advantage of the hilly Los Angeles landscape. 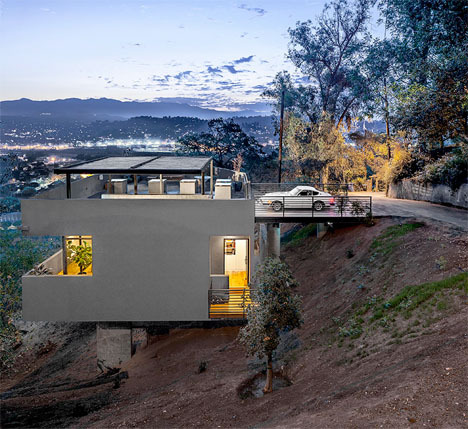 Built on a steep plot of land just off a winding road, the home makes the most of a challenging site, maximizing views from every level. Local building code requires the home to have two parking spots. 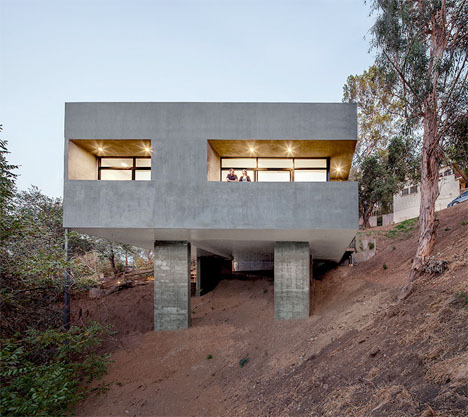 A steel frame and a series of concrete pillars support the modern house as it projects out from the hillside, with two separate terraces looking out onto the San Gabriel mountains from the kitchen and master bedroom. 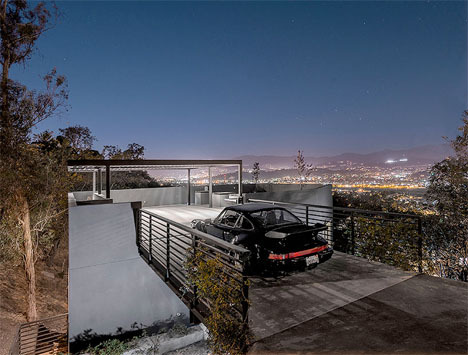 Calling it a ‘car park house’ puts the emphasis on the least attractive part of the home, but perhaps it’s appropriate considering Los Angeles car culture. But it’s a lot more than just a driveway with a view.